The activities of the first season of the Peace Forum in Hit began on 22 December 2017. This marked the culmination of the coordinated efforts of a number of voluntary organizations which came together to establish a joint space where groups could exchange ideas and unify their visions broadly aimed at cultivating an atmosphere peaceful coexistence and flourishing. 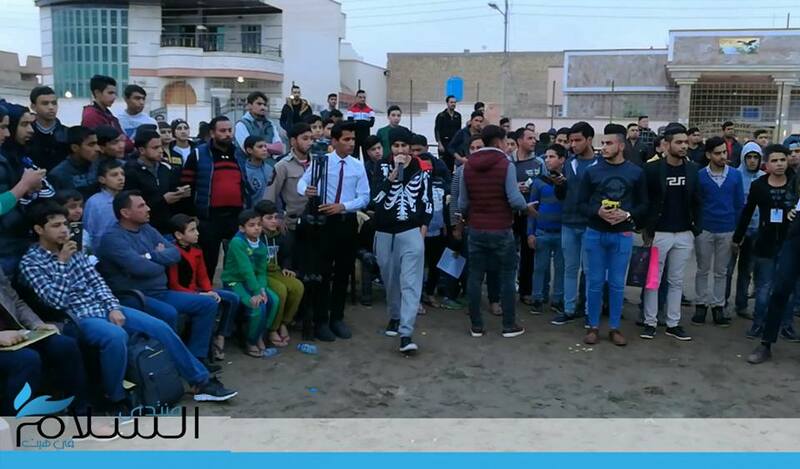 The forum in Hit is one of many similar forums which are emerging in different cities across Iraq. 6 expert trainers and lecturers kicked off the activities with a series of seminars and workshops. On the second day, the Hit Peace Marathon brought more than 250 runners of different ages together to express their belief in the important role of sports in building peace and promoting social cohesion in the city. 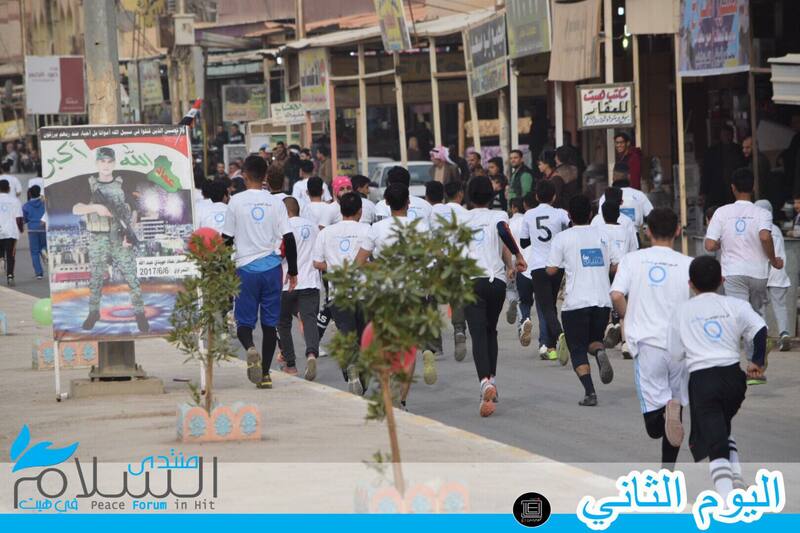 The marathon started from the Al-Jamayia neighborhood and ended in Corniche Street, which had great significance as it was there that more than three terrorist attacks claimed the lives of innocent citizens. Many Hit residents watched the marathon, gathering along the sidelines of the 6k race and handing out sweets and juice to runners as they passed by. Security forces were involved in ensuring that the marathon route was clear and safe and that no participant was prevented from joining in. The activities of the Forum’s first season ended with a festival in the gardens of Zuhor Park, and was attended by families, security authorities and a large number of city dignitaries and residents. The activities of the garden festival included the performance of songs promoting religious toleration, poetry readings and traditional and popular music. The Peace Forum in Hit is a civil society network concerned with a range of social issues. The Forum was established by team of volunteers and organizations in November 2017, and works in coordination with the Iraqi Social Forum. Its activities get funding from the Swiss FAI Foundation which aims to build a civil society that promotes democracy and peaceful coexistence in the Middle East and Mesopotamia.